IBM Cloud now offers phone and chat support 24X7 for our premium support clients who are using our Platform As A Service. Have a need to escalate a ticket when your Client Success Manger is not available? Want to talk or chat with a person about a ticket? Need to change the severity of a ticket? Want someone to join a bridge or conference call? Can’t create a ticket with the proper severity? No problem. Simply chat or call any time, any day. The telephone number is 1 (866) 403-7638‬. You’ll be asked to specify which area you’re calling about. 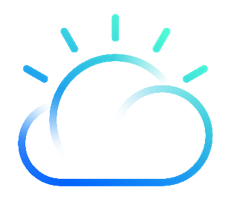 Whether it’s a question about Infrastructure, the PaaS Platform, Watson or Data services, we are here to help you be successful using the IBM Cloud. You can access chat and other support options directly from the IBM Cloud console by clicking ‘Support’ then ‘Support Center’. Of course, you can continue to use the web-based method to create and view your tickets at: https://watson.service-now.com/wcp. If you have any questions, please talk with your Client Success Manager.